Origin: North America. occurs only in the USA from Cape Fear River drainage in North Carolina to southern Louisiana. 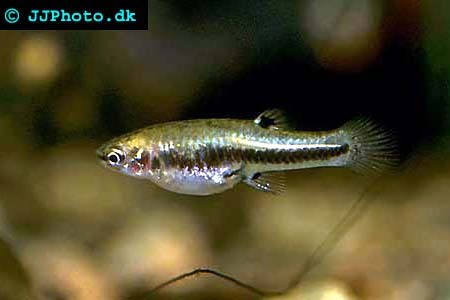 Aquarium setup: This, the smallest of the livebearers is best kept in planted tanks. Its virtually impossible to have to much plants for this species who is found in very heavily vegetated habitats. Can be kept in very small tanks. Breeding: Livebearer. Females give birth to fry after about four weeks gestation. She give birth to her fry over 2 days or more. For more productive breeding isolate pregnant females and return them once fry is born.